When I got the positive endoscopy results that day, I assumed that gluten had held together all the health problems that had shaped my life since middle school. 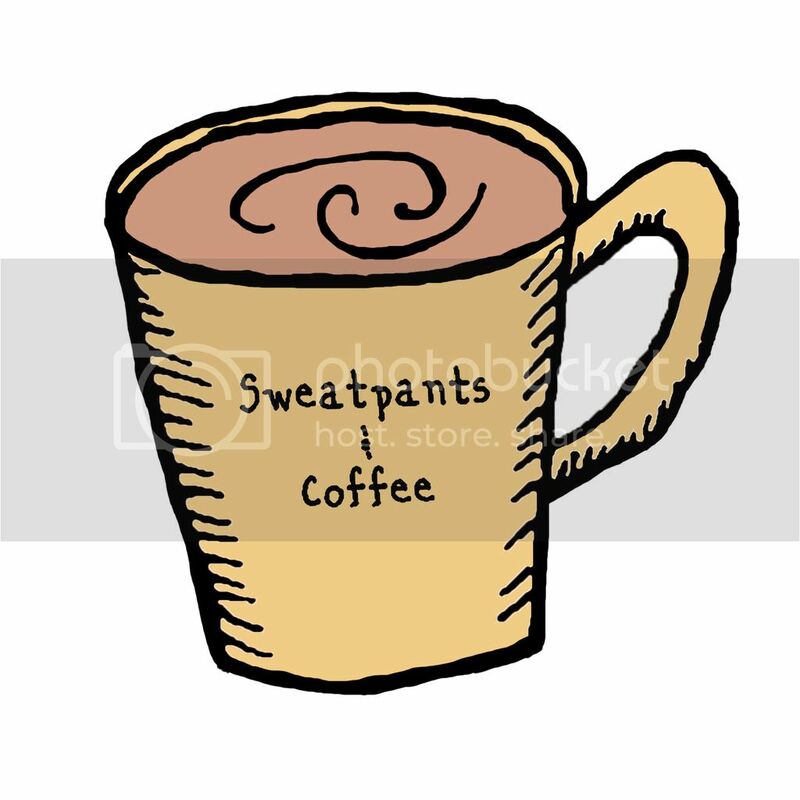 The chronic insomnia, chronic sore throats, chronic back and neck pain, chronic tendonitis, the chronic widespread inflammation that made writing by hand and typing and playing French horn and singing and having my two-ounce lovebird perch on my hand almost too painful to bear. “Now I can live in my body not as a cage,” I texted my boyfriend. I went on the Celiac Foundation website to listen to stories of people who went gluten-free and then had so much energy they felt like they were on speed. I imagined my new life, I welcomed my new body, I rubbed the ink off my palm. 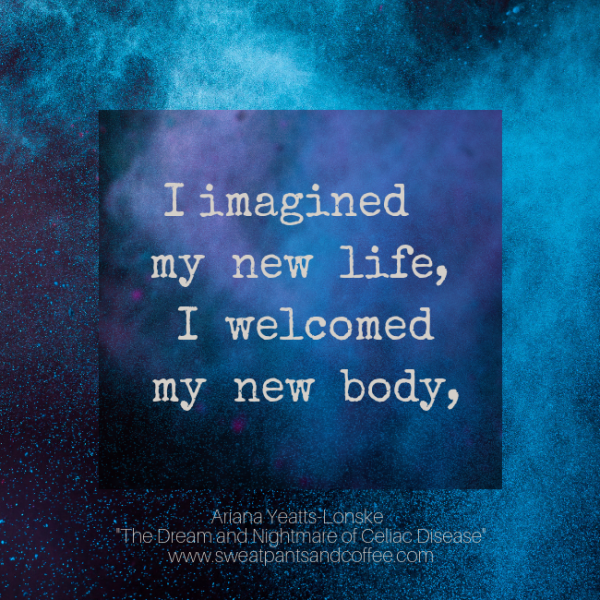 Unfortunately, the next few months clarified that while celiac was indeed the crux of my many health problems, diagnosis did not give me the key to my own cage – it only began to describe it. The Celiac Foundation website states that those who are diagnosed over the age of 20 have a 34 percent chance of developing another autoimmune disorder. While going gluten-free alleviates celiac-specific symptoms, it doesn’t reverse the effects of comorbid conditions, some of which can be substantially more serious than celiac itself. It turned out that I had no fewer than four comorbidities, the most disabling of which is a form of autonomic nervous system dysfunction called postural orthostatic tachycardia (POTS). In general, POTS means that the body doesn’t properly regulate heart rate, blood pressure, sweating, body temperature, digestion, circulation, and a host of other basic functions. For me, severe POTS meant that I went from deciding whether to attend Harvard or Vanderbilt for graduate school to being bedridden in my parents’ house, unable to climb a flight of stairs without gasping for breath or read a book without becoming dizzy and confused. Still — I am luckier than some. A woman who has three devastating miscarriages in a row before a fertility clinic thinks to test her for celiac. A man who dies of cancer after a lifetime of mysterious health problems. Dying of cancer, when your risk is three times that of the average population, can seem a lot like dying of celiac. Some days, I look back on last May with pity – and even disgust. Other days, I save my anger for the dozens of doctors I saw in high school and college who misdiagnosed me or dismissed me altogether. What would my life be like right now if I had stopped eating gluten in eighth grade? How could so many doctors miss the signs when celiac runs in my family? How much harder would it have been to get diagnosed if I were poor or non-white? With celiac, diagnosis is everything. Because the only treatment is a strict lifelong gluten-free diet, awareness is diagnosis is treatment is remission. This is a sobering thought considering that of the estimated three million Americans who have celiac, about 83 percent are currently undiagnosed. Unfortunately, even for those who are lucky enough to get diagnosed early in life, celiac is not as easy as a pill in the morning or a few minutes of physical therapy at night. In fact, recent studies show that the perceived patient burden of celiac is comparable to that of congestive heart failure, and higher levels of vigilance about the gluten-free diet are associated with higher anxiety levels and lower quality of life. Worrying less about accidental exposure is not a solution either since about 56 percent of people with diagnosed celiac still exhibit intestinal damage even years into the diet, damage that can be triggered by as little as an eighth of a teaspoon of gluten. 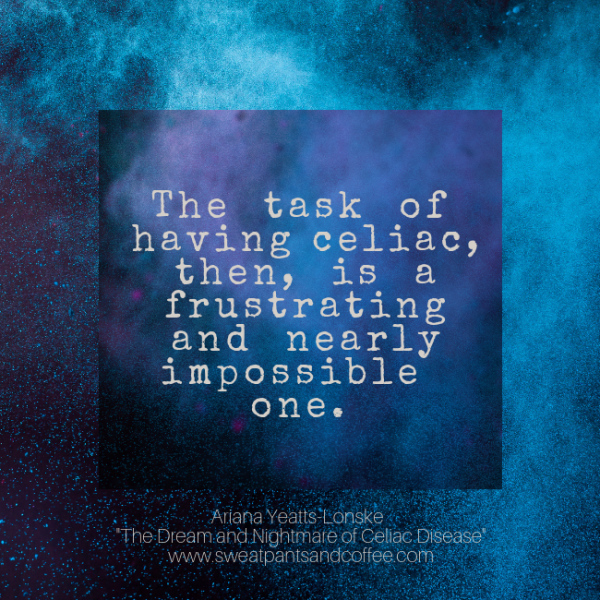 The task of having celiac, then, is a frustrating and nearly impossible one. Celiac is being nervous to meet your boyfriend’s family, not because you are scared they won’t like you, but because you are scared that, somewhere, tucked in their toaster or ground into their cutting board, is a crumb that will make you bedridden for days. Celiac is automatically distrusting waiters after a few too many have placed a dish in front of you and confidently said, “Soy free, don’t worry!” Celiac is paying three times more for tiny packets of crackers that crumble at the touch. Celiac is having to leave a grocery store with no cell phone reception because otherwise there is no way to comb the gluten-free forums to see if this sauce or that brand of lentils is safe. Celiac is constantly having to ask questions, to double check, to speak up, to demand accommodations, to feel different and inconvenient and burdensome to any kind of group, even if no one says so. But despite all these obstacles, as I carefully mix obscure flours every week, following the bread recipe my grandfather passed on to me after he died, I think about how much harder it was for him. When he was diagnosed with celiac in 1992, there were no New Yorker cartoons making fun of people who eat gluten-free, but there were also no restaurants with gluten-free menus or grocery stores with gluten-free aisles or celiac support groups online. There was just him — making his own bread every week, asking waiters and then asking again, supporting his body the best he could after 58 years of damage. I wish the cure for celiac could have been found during his lifetime, but I have to hope it will be found during mine. Despite having the highest mortality rate of the gastrointestinal diseases, celiac currently gets the least amount of funding from the National Institutes of Health. Even so, awareness has never been higher, and research gets us a little closer every day. I don’t know whether the cure will be a pill or a vaccine or something else altogether, but when it comes, perhaps I will feel again the boundless joy I felt on that warm day last May — and this time, it will be deserved. Ariana Yeatts-Lonske is a poet, musician, and future educator living with celiac disease, dysautonomia, Ehlers Danlos Syndrome, and MCAS. She graduated from Vanderbilt with a Bachelor’s in English and Creative Writing and works for The Graide Network, an education technology start-up. Her writing has won an Academy of American Poets prize and a fellowship to the Bucknell Seminar for Undergraduate Poets. She lives in St. Louis with her partner, Matthew.